Charis presents diverse musical programs, including intimate a capella chamber pieces, major choral works with orchestra, and popular jazz tunes. Charis appeared with the Westchester-based orchestra Philharmonia Virtuosi when under the direction of the late Richard Kapp. 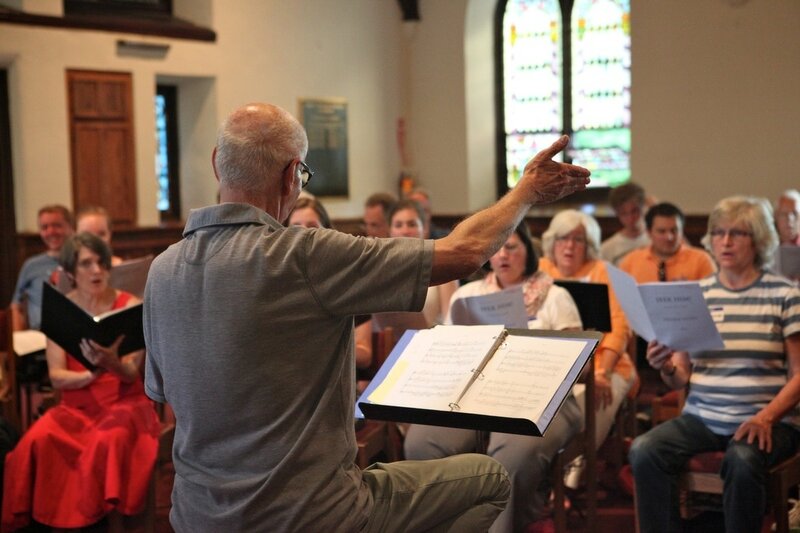 The group has also participated in the Soclair Music Festival in Lebanon, New Jersey, and was a featured ensemble at the Dennis Keene Summer Choral Festival in Kent, Connecticut. Charis has also been invited to perform at Caramoor. In addition to the extensive discography of live concert recordings, two additional recordings have been produced: Hoping It Might Be So, a selection of Christmas music including work from contemporary American composers, and From Sorrow Free, a collection of American songs from ranging from hymns of Colonial New England to original settings of 20th century poetry. International Concert Series in 2016. SUCCESSFUL PREMIERE – Charis Chamber Voices and Camerata Vocale make the audience enthusiastic! The Camerata Vocale directed by Hans-Dieter Reinecke and Charis Chamber Voices from New York directed by Arthur Sjögren invited us for a shared concert in the Marktchurch. The full church got an excellent demonstration of how choral music on the highest level works. The same goes for the Camerata Vocale conducted by Hans-Dieter Reinecke. Also with this group the rule applied: when a choir manages to transform the “hand-speech” of the conductor so intensely, then one can say the choir has class and grandeur. It also became clear that both choirs come from different traditions – the Camerata Vocale had a rounder, nearly romantic choral sound. For the last part of the concert the 2 choirs joined forces. Whether we refer to the beautiful interpretation of Mendelsohn’s Psalm 100 or to the Brahms“Warum ist das Licht,” or the slightly modern “Ave Maria” of Jeakko Mantyjarvi or the extremely succesfully brought Première of Fredrik Sixten’s “Seek Him” (commissioned by the 2 choirs from the composer who was present during the concert); this concert will be remembered as an extraordinary experience. How fortunate to have Maestro Arthur Sjögren who is such a renowned Choral Director with an outstanding reputation both here and abroad. The concert last night featuring Bach and Handel was flawless and I look forward to Charis’ Spring Concert on Saturday, May 2nd. I am one of your most loyal and enthusiastic supporters and I appreciate the time and effort you put into each concert to ensure perfection.